Register to get the maximum benefit, just with a mere call on the phone numbers tab on the sidebar. As soon as the registration gets completed, we will send a confirmation email/SMS/Call. Then our Expert counselors will guide you in a step-by-step manner. By enrolling with SBC Educational Services, you complete the first step to reach the college or university of your dreams. After enrollment procedure, you will receive a Call/email from us. The help and support, which SBC Educational Services will provide you in defining your career path in order to most successfully articulate to the admissions committee, the reason you are getting an MBA, Engineering, Medical or any other course. After the completion of Initial Consultation, we will figure out the immediate steps in the consulting process, so that you, along with the team assigned for you, have a clear picture of how your admission application procedure will be conducted. You can get detailed information about the available top courses programs and end your struggle about deciding which schools deserve an application. 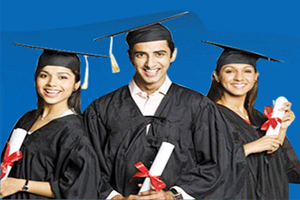 Education Diary will help you in choosing the right kind of programs apt and ideal for you. So whether it is colleges and institutes in Tamil Nadu, Karnataka or Delhi , it is our sole responsibility to help you in choosing the best institute. Primary and in fact the most important step is to go through a candid assessment of your candidature at any and all of the top programs in which you are interested. If we conclude that your goals are misaligned with the schools of your choice then we can help you to find the program that is a better fit for your caliber. If you do not have any particular set of programs in mind, then we can introduce you to a comprehensive list of schools that will best help you meet the aim you expressed in the Initial Consultation. Once you have decided on the course, college/university then the next step is the completing your documentation process. During this process the Enrollment form and other academic certificates are checked and submitted to the college where you wish to get admission. Every year, dozens of qualified applicants are placed on the waiting list by the most competitive schools and colleges. Should this happen to you, do not feel low. Our team can help you in drafting an impressive and sound profile, which considerably elevates your chances of escaping Wait list Limbo. Our efficient Consultants can also help you to draft a graceful and convincing letter highlighting any new evidence in support of your request and re- accentuating on the fact that you would be an ideal student to the incoming class. Once you are accepted by the college or university, our experts will provide you with details on how you can best prepare yourself for this Professional course. This information starts with the description of an average week in the life of a Professional course student and the academic workload needed. Our Specialists includes graduates of all of the elite MBA, Engineering and many other programs, hence we provide a matchless viewpoint. Your Head Consultant might suggest textbooks, or even a summer school or college course to organize you for the ups and downs of your first year. Regardless of the amount of preparation you need, We will always be next to you for any questions that you might have from the day you receive your acceptance letter through to the first day of classes.